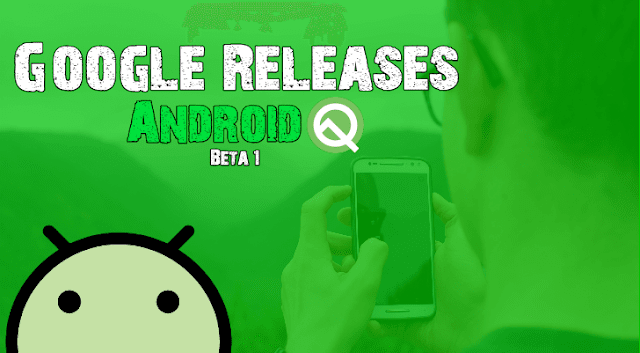 Google launches Android Q Beta 1, Includes All The Information You Need To Know! In 2019, mobile innovation is becoming stronger than ever, with new technologies that are 5G, Full screen displays, and even foldable screens. So Google finally released the Android Q version in the wake of 5G, Full Screen display, and Foldable Technologies. Its first Beta Version is available for download on google.com Android beta ##download##. This is the fourth year running that Google has Pulled-out the first developer preview in March -Android N (Android Nougat), Android O (Android Oreo), and Android P (Android Pie). For as far back as two years, Google did not utilize the Android Beta Program. 👉 It is designed to make app developers ready for the best of best of app development. 👉 It will take some changes that the Android users will welcome. 👉 Flexibility for Fold-able Devices. 👉 Android's serving to push the boundaries of hardware and software package. 👉 transferal new experiences and capabilities to users. 👉 Theme Engine with Accent Colors. 👉 Screenshots with Notches and Rounded Corners. Everyone is talking regarding folding phones in 2019. Major international smartphone players have already launched folding phones. Now, Android Q is preparing to create folding phones a norm worldwide by giving in depth support to such devices. Android Qversion is capable of handling split-screen apps to boost their usability on Fold-able devices. 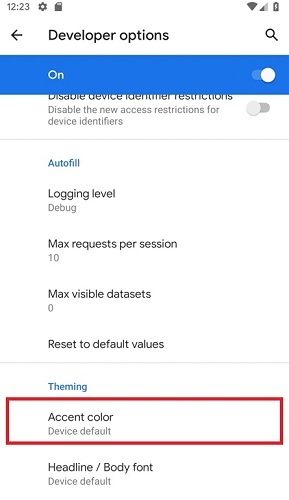 Google has not mentioned Theme Engine or related choices within the developer’s post, Android Police has found a ‘theming’ section within the developer settings of Android Q. In this section, 3 options-Headline/ Font, Icon shape, and Accent colours like blue, black, green, and purple are given. The icon shape options enables the Android app developers to alter the app icons to the device default, teardrop, and rounded parallelogram. In the Previous versions of Android you see that some app's continuously using your location and it also affect your battery🔋 performance, but now, Android Q tackled this issue while giving more control to users👪. Android Q version will enable you to select one option from the three different options. "Allow all the time". 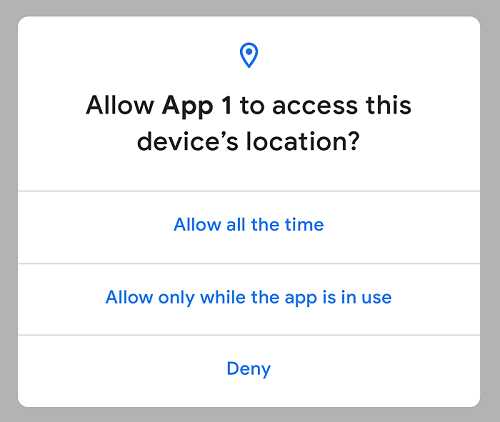 "Allow only while the app is in use", and "Deny". Its a big step to Protecting a user's privacy. 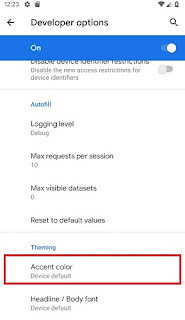 Another Android Q's Privacy Feature is to give an app to Limited Access to you secret pieces of information, IMEI and serial numbers. Like the previous versions, Android Keeps the notch or rounded screen in the screenshots. Do you know what does it mean? Your screenshot appears more realistic when you share it with your friends. You can check this feature in the pixel! The software has introduced additional swiping options with Android Q beta Release. Right swipe can clear the notifications and also the left swipe can open up the context menu. It includes choices like ‘snooze’ or ‘mute’ notifications. once you expand the menu, you may notice further choices like ‘block’, ‘keep alerting’, and ‘’show silently’. So, the Android Q users sometimes notice the notifications annoying will have complete management over them. 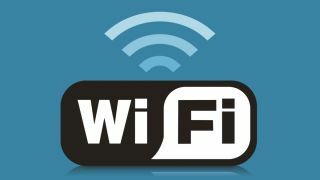 Android Q facilitates you to share WI-Fi network with an admirer through a QR code. 👉Your friend can see a QR code and scan it to hitch your WI-Fi network. 👉It's additional convenient and innovative approach of sharing network. This could be your Pixel display! Surprised? Well, this appears potential with the most recent Android version (beta). 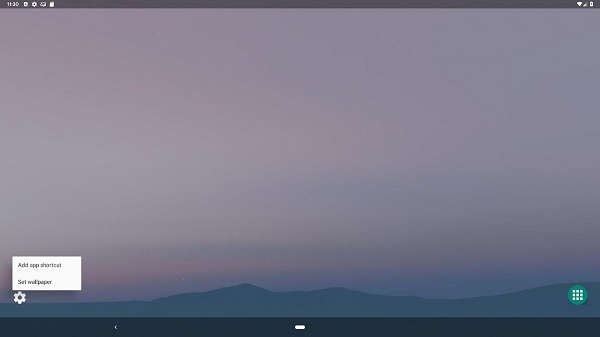 Huawei and Samsung have already brought Desktop mode in their devices, and currently Google has followed suit by adding it within the latest Android Q. 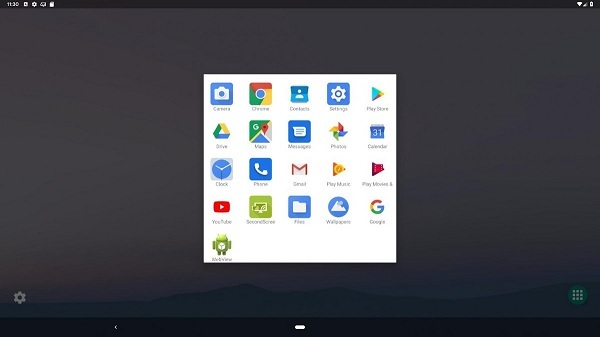 All you get could be a desktop-style interface on connecting your Pixel device to associate external Display. Well, I will wind it up by saying that, Currently we have Android Q Beta 1 Version. but Google plans to release six Android Q beta versions. BlOOGISM - Passion is the genesis of genius: Google launches Android Q Beta 1, Includes All The Information You Need To Know!